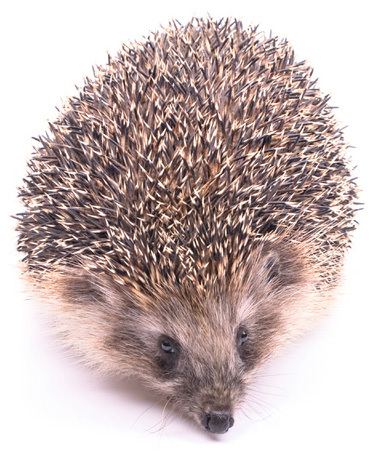 A hedgehog needs the correct food and a proper habitat to live a long, happy, and healthy life. Before bringing him home you should have his cage set up and ready with food available. Below is a list of items you will need to care for your pet. A cage that is at least 4 feet long and 2 feet wide. That is the minimum size so go with the biggest cage possible. Multi-level cages are a good way to increase your pet’s space. Bedding for the bottom of the cage. Bedding made from recycled paper or pulp is a good choice. A hide area where you pet can go to feel safe and secure. A small animal litter box. Litter for the litter box. Litter pellets made from recycled paper work well and are safe. A stoppered water bottle. A heavy bowl can be used as an alternative if your hedgehog doesn’t like a water bottle. A couple of bowls for dry and moist food. The bowls should be attachable to the cage or heavy enough to prevent spilling. An exercise wheel, preferably one with a solid wheel to prevent possible injury. A variety of toys and decor to keep your pet entertained. Examples are pipes, tubes, tunnels, ramps, ledges, balls, and bells. A small animal playpen for when your hedgehog is out of his cage. A dry hedgehog food or cat food that is high in protein and made from meat or chicken. Canned cat or dog food to supply your pet with moist food. The food should be high in protein and made from meat or chicken. Fruits and vegetables that can be added to your pet’s diet. Beans, peas, corn, apples, and carrots are some of the foods you can feed your hedgehog in small amounts. Various treats to add variety to the diet. Treats can be insects like mealworms and crickets, moist dog or cat treats, and cooked food like hamburger, chicken, or eggs.